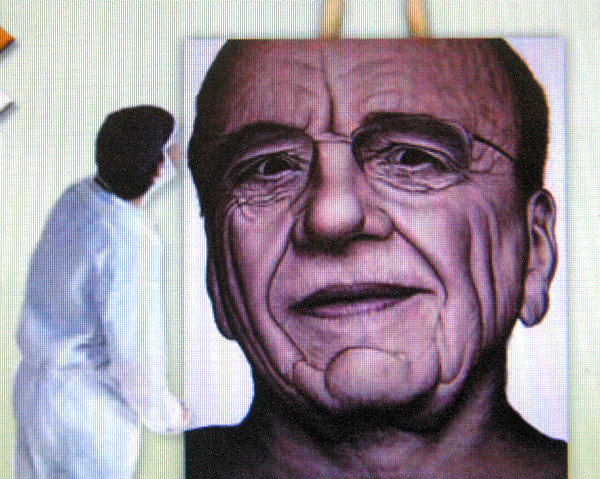 the Social Shuttle: Rupert Murdoch as you've never seen him before ! Rupert Murdoch as you've never seen him before ! Here is one of the finalists in the Moran Art Prize for portraiture (the richest of it's kind in the world). Looking like something spooky out of the Portrait of Dorian Grey, it's artist Adam James K's interpretation of Rupert Murdoch. "my goal was to show a side of Mr Murdoch that we don't normally see-vulnerability mixed with a small dose of fear ". He's right-we've never actually witnessed the vulnerable side of Mr Murdoch in all our sightings of the great media baron. Plenty have felt a good dose of fear from him though. Mr James K says " Mr Murdoch gave me ten minutes to prepare some preliminary sketches and photos then said "very efficient Adam " before walking out the door. A shiver runs up your spine just reading that.! You can see the rest of the Moran Prizes 2010 here. # You can also see fashion entrepreneur Danny Avidan and designer Charlie Brown interviewed about the winning portrait. The pair hosted a party for Nicky Hilton at Star City's Astral Bar tonight after she appeared earlier on the catwalk for Charlie's show at the Rosemount Sydney Fashion Festival at the Town Hall..
Astronaut Buzz Aldrin will be in town soon on an assignment (secret at this stage). He was on the first Moon mission in 1969 and the second to walk on the Moon (or a film set if you believe the conspiracy theories). 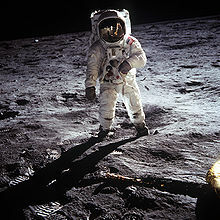 We'll be lunching with Buzz and we're dying to ask him about the UFOs he said he saw on the Moon trip !